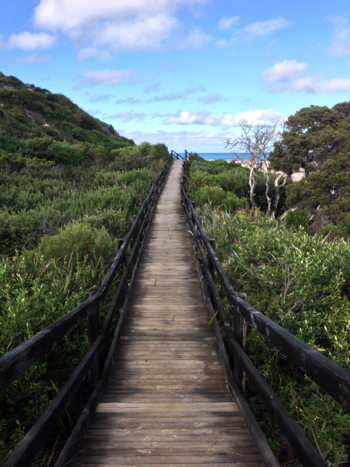 The car park is located behind the sand dunes, so you can either take the staircase up and over along the boardwalk or walk around past Taylor Inlet and on to the beach. 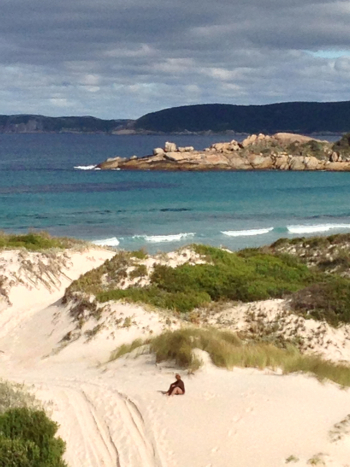 Nanarup Beach is off-the-beaten-track yet well worth a visit. 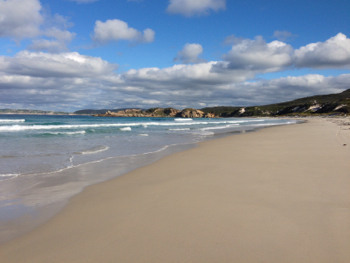 Travel north-east from Albany City Centre and cross the Oyster Harbour bridge towards Nanarup and Two Peoples Bay. Popular fishing and 4 wheel driving location. 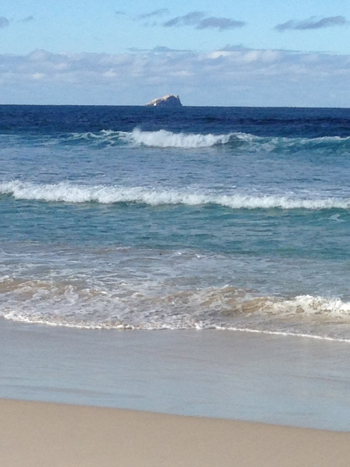 There is a long beautiful white sandy beach at Nanarup. With picnic and barbecues, and easy stairway access, it's a delightful place to stop for lunch. 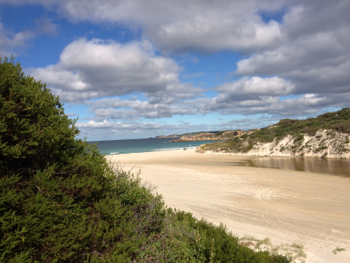 The Taylor Inlet discharges through Nanarup beach and can also be explored from the car park. 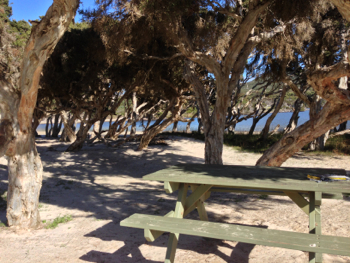 Several sets of picnic benches as well as toilet facilities are located at the entrance to Nanarup Beach. 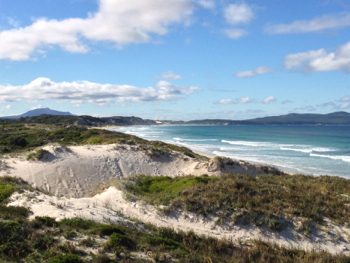 There is a lookout which you can access from the eastern side of the beach. This can not be seen from the entry boardwalk but only accessed from on the beach. This is a good place to see whales in season (bring your binoculars). Please respect the wildlife. Many of the animals in this area are repopulating and need our support. 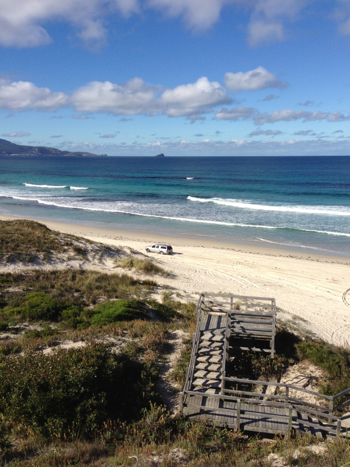 4wd vehicles can access the beach alongside the Taylor Inlet at the car park. 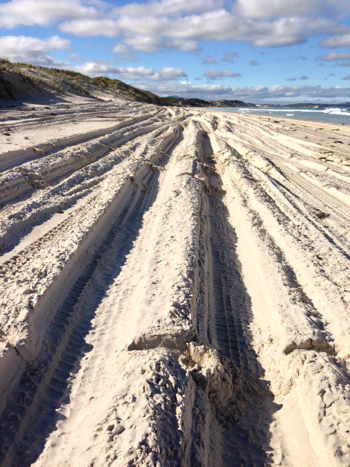 Vehicles are not permitted on the western side of the beach, but fully kitted 4wd vehicles can drive from Nannarup Beach all the way north east to Two Peoples Bay along the beach. There are two crossings of the Oyster Harbour estuary, one over the King River via the Lower King Road, the second over the Kalgan River via Nanup Road. 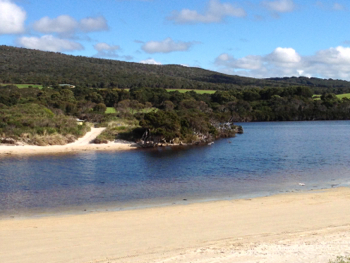 Click here to see the Taylor Inlet, which is adjacent to the beach. Do NOT swim in this inlet, note the signs.